For its Spring / Summer 2014 Collection, the iconic brand Christian Louboutin incorporates graphic shapes, original hardware and a mix of modern materials to its signature styles. The collection is available in warm seasonal pastel hues, like this season’s it color, cyclamen pink, as well as a selection of bolder colors and whimsical patterns designed to evoke the spirit of travel in us all. 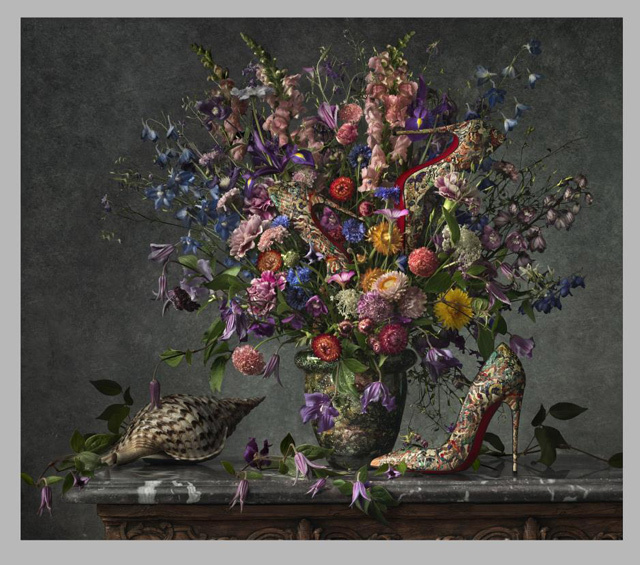 For its SS14 campaign, Christian Louboutin worked with photographer and artist Peter Lippman, who showcases the brand’s spring inspired masterpieces in elaborate portraits that partner the collection with impressionist art. 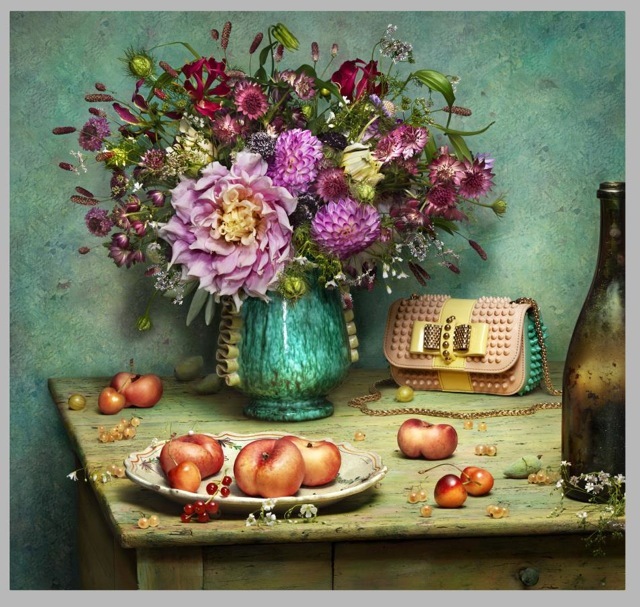 Lippman, inspired by artists like Monet and Van Gogh, cleverly arranges the collection, and playfully displays Louboutin’s whimsical shoes and handbags nestled between bouquets and floral arrangements. He creates an exquisite campaign that emphasizes the collection’s warm spring tones. The brand stays true to its tradition of versatility, elegance and famous craftsmanship for SS14. Classics like the Apostrophe and Bat Pump are updated with sleek modern lines and sophisticated craftsmanship techniques are evident in the hand-stitched finishing seen in the Amazona Boot and sharp leather cut straps of the Laurence Anyway. 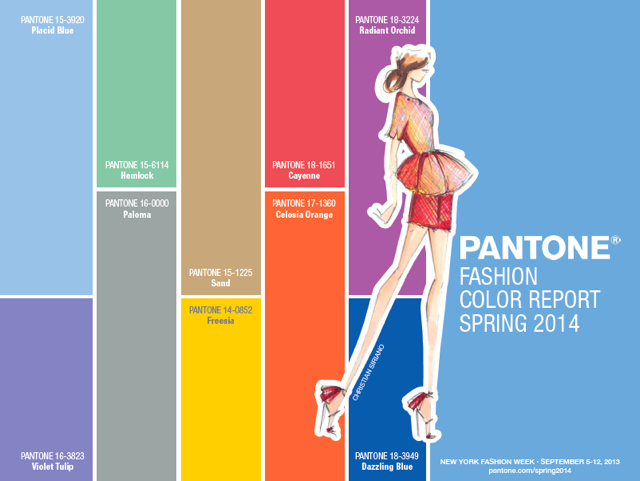 The collection is available in muted yet warm seasonal tones, like cyclamen pink and anis suede, as well as more vibrant colors like patent neptune blue, and without fail, incorporates the unmistakable brand signature, a Christian Louboutin red sole. The collection also contains various pieces that showcase a mix of artisan techniques used together with new fabrics and color palettes, such as golden hand-embroidery employed on a black-suede women’s flat or a Hawaiian inspired fabric found on the men’s Papi Hugo and women’s Galia espadrille. 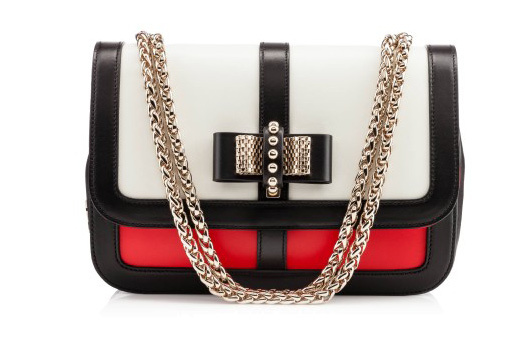 For SS14, the brand also updates its collection of handbags with an extended front flap that adds structure for the classic Sweet Charity handbag, and uses PVC, a Christian Louboutin perennial favorite, to create an exciting backdrop for accents on the Sweety Charity cross-body bag. Christian Louboutin’s Spring / Summer Collection for 2014 achieves the perfect balance between the brand’s classic designs and the season’s trends.